SALT LAKE CITY, October 5, 2018 – The American Association of Medical Assistants (AAMA) met in Salt Lake City, Utah for its 62nd Annual Conference. 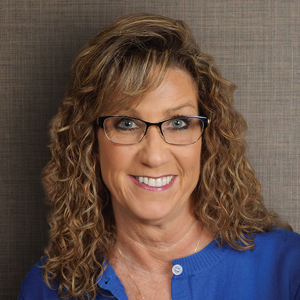 Tandra Bauman, CMA (AAMA), was installed as the 2018–2020 AAMA Trustee. In this capacity, Trustee Bauman, a resident of Onalaska, Wisconsin, represents medical assistants and CMAs (AAMA) across the nation. Medical assisting is one of the nation’s careers growing much faster than the average for all occupations, according to the United States Bureau of Labor Statistics (BLS). Medical assistants work in outpatient healthcare settings. Employers are seeking and recruiting these allied health professionals because of their uniquely diverse clinical and administrative patient-centered training. Bauman brings a great deal of experience to her office. She has worked as a certified medical assistant for over 13 years in various departments, including infectious disease, internal medicine, neurology and nephrology, and urgent care. Bauman works for Logistics Health Inc., which has been awarded the World Trade Center Health Program Nationwide Provider Network contract. “I believe my experience as a CMA (AAMA) [and] RMA(AMT), with a wide range of training and experience, has been an asset as a case care coordinator for World Trade Center responders and survivors. Managing their care from the moment they enter the program has been one of the hardest yet rewarding jobs I have ever had,” she adds. Bauman has served in many capacities for the AAMA, including as a member of the Leadership Development, Social Media, Membership, and Nominating committees. She is a current member of the Bylaws and Resolutions and Leadership Development committees. The CB of the AAMA was awarded accreditation by the International Accreditation Service (IAS) under ISO/IEC Standard 17024:2012, the global benchmark for personnel certification bodies, thus distinguishing the CMA (AAMA) from other medical assisting certifications. A rigorous credential, the CMA (AAMA) is the only certification that requires postsecondary education. Only candidates who graduate from an accredited postsecondary medical assisting program are eligible to sit for the CMA (AAMA) Certification Examination. The CMA (AAMA) must recertify every five years. The National Board of Medical Examiners—responsible for many national examinations for physicians—constructs and administers the examination. As a result, the reliability and validity of the CMA (AAMA) credential are of the highest order. The mission of the American Association of Medical Assistants is to provide the medical assistant professional with education, certification, credential acknowledgement, networking opportunities, scope-of-practice protection, and advocacy for quality patient-centered health care.